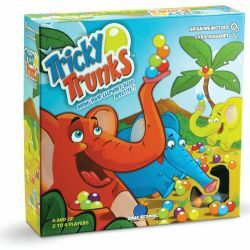 Come play with the elephants! 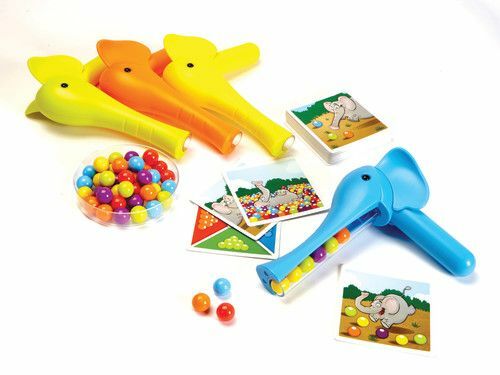 Race to pick up balls with the elephants, following the rules of the challenge cards. 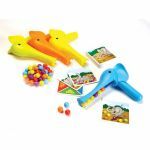 Depending on the card, pick up as many balls as you can, all of your own color, or a specific combination of balls. Work quickly and make sure to pick the right colors carefully- the rolling balls can be tricky to pick up! 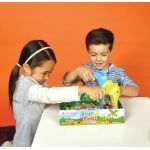 The unique elephant toys promote dexterity and motor skill development!